January 5, 2019 by Laurie Leave a Comment This post may contain affiliate links, which means if you click on a link and purchase something, I may earn a small commission (at no additional cost to you.) See my disclosure policy HERE. 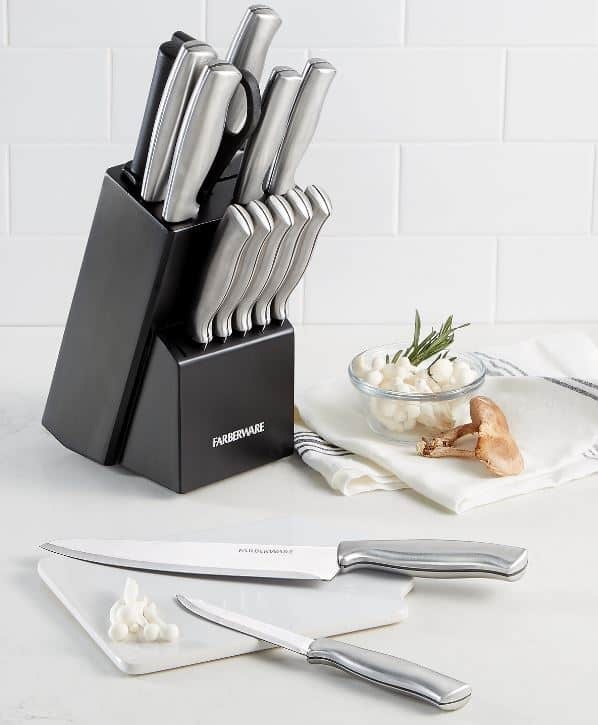 Macy's has a great deal today on the Farberware 15-Pc Cutlery Set ~ just $19.99, no code needed (this is regularly $70!). Great price if you've been needing a new set! Macy’s now offers free shipping on orders of $25 or more, OR when you purchase any item in the beauty department (look for Burts Bees products priced at $3. Love that!